Sometimes specialized situations call for specialized equipment. 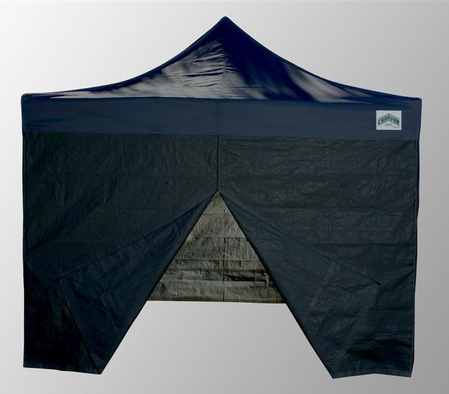 If your special need is to stay out of direct sunlight or to eliminate glare underneath your canopy, then the Caravan 10 x 10 Alumashade Black-Out Canopy Package Deal is exactly what you're looking for. This is the ideal product for people who want to enjoy the outdoors but who need to eliminate some or all outdoor light at one point or another. Sound confusing? It's actually pretty simple - find out more below. When you order this outdoor package, here's what you'll get. 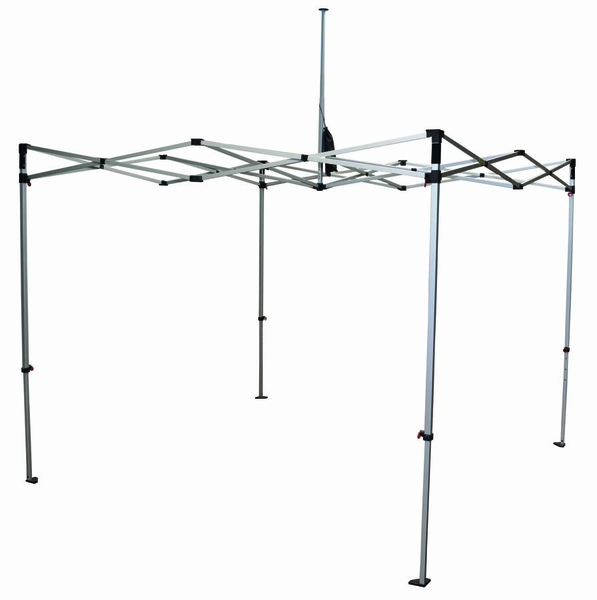 First you get a 10 ft. x 10 ft. powder coated aluminum frame that sets up in seconds, folds up in seconds as well, and that is rust-resistant. The 250 denier black polyester top is complemented with three sidewall panels made of the same 'black-out' material that attach to the shelter using Velcro loops, plus one sidewall panel, still of the same material, with a middle zipper for easy access. 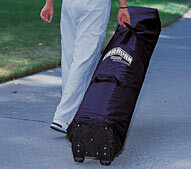 There's also a stake kit with ropes to provide added stability after setup, plus a deluxe rollerbag that makes transporting the canopy and accessories a snap. All of this is meaningless if the package doesn't deliver on what you want it to do. To make a long story short, this canopy and sidewall combination creates a structure that offers industry-leading 7 foot clearances beneath the tent's top, that is almost totally enclosed if you want it to be for added privacy and protection from the elements, and that blocks out almost all sunlight if that's what you're looking for. You can relax in what's essentially a fully enclosed outdoor shelter after only investing a few minutes in the setup. There are all sorts of applications for this unique outdoor setup. Anyone involved with outdoor photography knows that while sunlight can be great for the actual taking of pictures, it can kill you when you're trying to develop, proof, or edit the pictures at the outdoor site. Similarly, video and movie production can be nearly impossible in an outdoor environment, whether it's taking a look at what you've shot or trying to edit or evaluate footage while you're shooting. In an entirely different sense, this setup is ideal for people who have high UV sensitivity, or for people who just want to be cautious about avoiding the potential long-term effects of sun exposure. Your use doesn't have to be any of these, though. This might just be the canopy that best reflects what you think it should look like. If you need a specialized setup or just like the appearance, though, this is a great deal and a great way to get everything you need in one simple purchase. 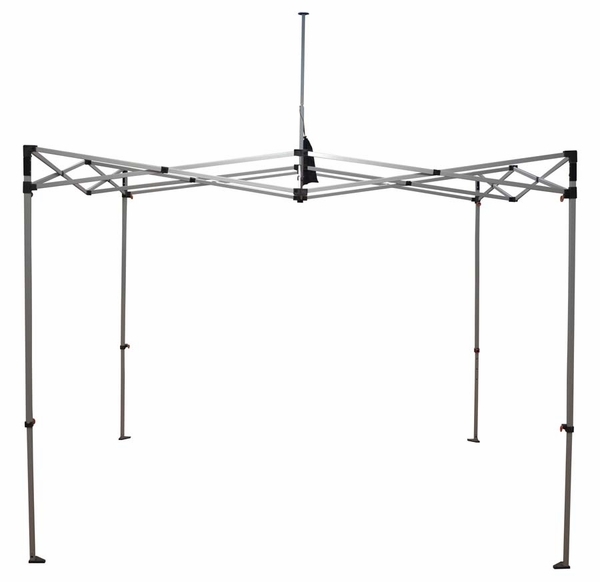 The combination of function, style, value, and convenience makes the Caravan 10 x 10 Alumashade Black-Out Canopy Package Deal an attractive deal for all sorts of outdoor shoppers. WARNING: This product can expose you to chemicals including Diethylhexyl Phthalate, which is known to the State of California to cause cancer, birth defects, or other reproductive harm. For more information go to www.P65Warnings.ca.gov. Fold Down Length: 64 in.